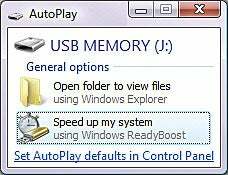 Get your cache value by plugging a seldom-used USB flash drive in your system and letting Vista do the rest to improve performance. Sayonara, Sidebar! 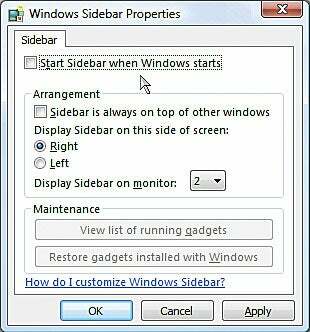 Prevent gadgets from slowing down an already sluggish system by preventing Sidebar from starting with Windows.